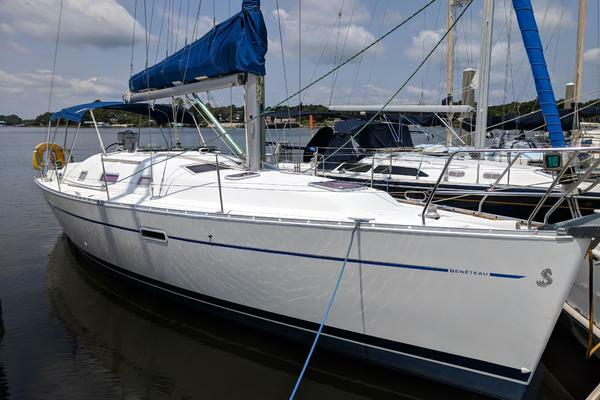 This Leopard 43 with its refit is like a 2017 with all new major components and all new electronics. Juno offers a unique opportunity to purchase a 4 cabin 2 head and 2 shower custom version. She is lightly used since her new systems were installed. The generator only has 45 hrs on it. She is well equipped for cruising the tropics or the world with ease because of all her extra features such as generator, AC, water maker, full electronics and mechanical systems. BUILDERS REMARKS: Designed in collaboration between Simonis-Voogd Design and Robertson & Caine. The concept of the Leopard 43 is the maximizing of space, performance and comfort. Built in Cape Town, South Africa, the Leopard 43 features 4 spacious double cabins, each with private head and shower, two single berths in the forward bows, a modern galley-up design with panoramic views, Corian work surfaces and a V-shaped saloon with seating for 8 guests, a large bathing platform with direct access to the cockpit and a functional hard top fitted as standard. The Leopard 43 is equipped with complete electronics and high-powered engines, giving great performance under power as well as sail.On deck the spacious cockpit is covered by a hard-top bimini and leads on to the large aft swimming platform. All control lines are lead aft to the raised helmsman's seat making navigation and maneuvering easy.